I love Emacs-Guix - thank you for this. > ‘guix package -i emacs-guix’ and "M-x guix". >   "M-x guix-command". 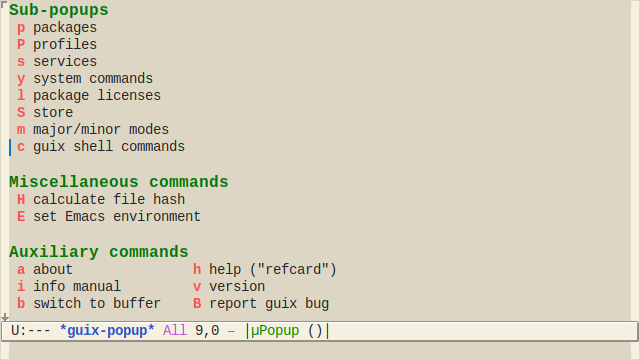 Also you can reach it from the new "M-x guix"
>   This command sets Emacs environment according to a specified profile. >   shell" or any other process will inherit this environment. >   and press "z" to get their total size. >   Thanks to Pierre Neidhardt for the idea of this feature.